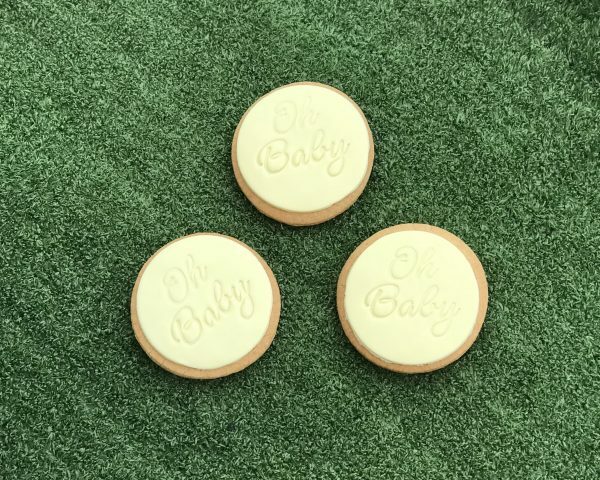 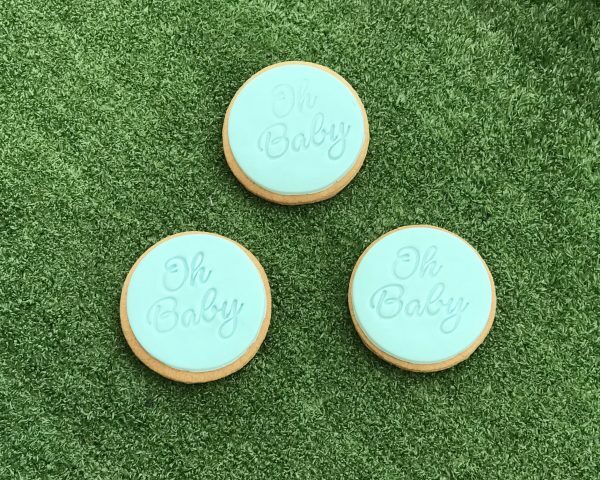 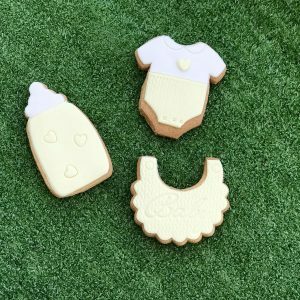 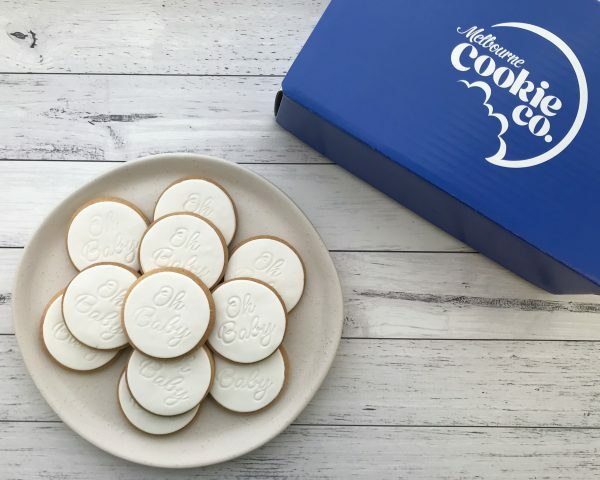 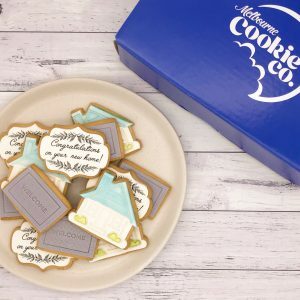 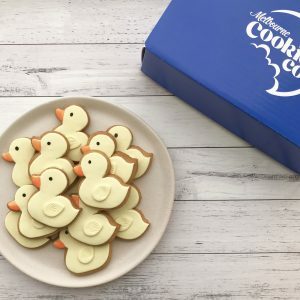 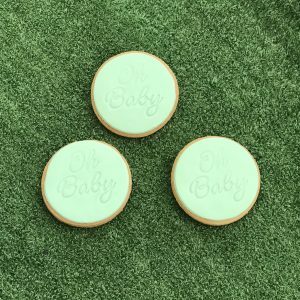 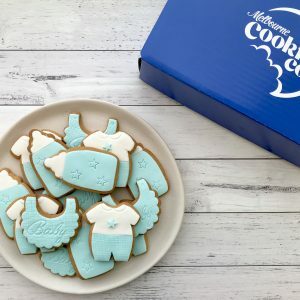 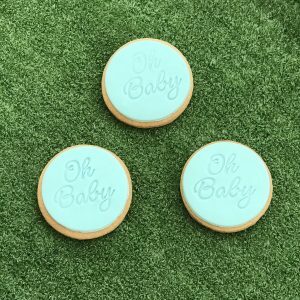 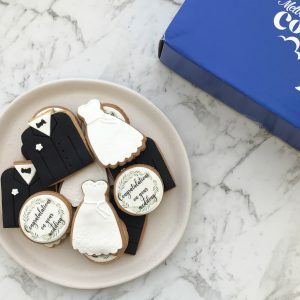 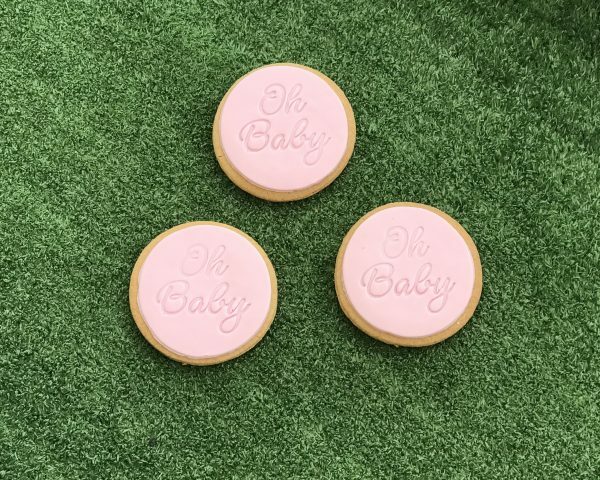 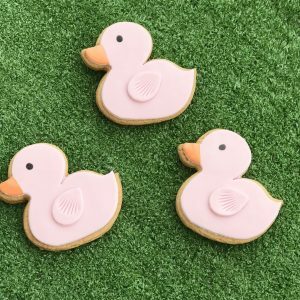 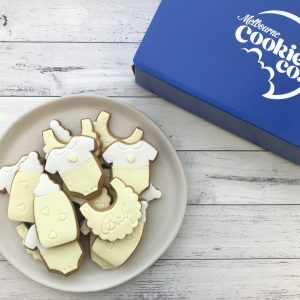 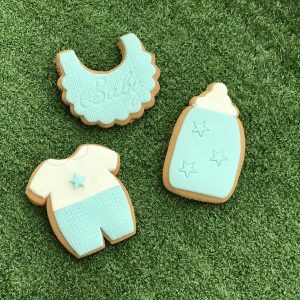 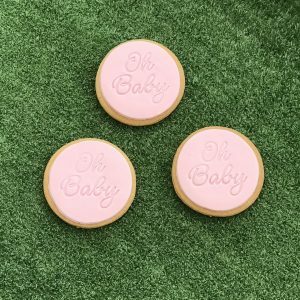 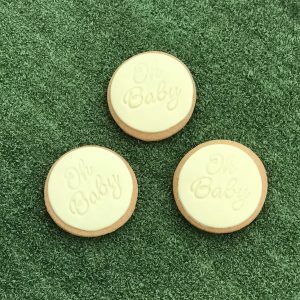 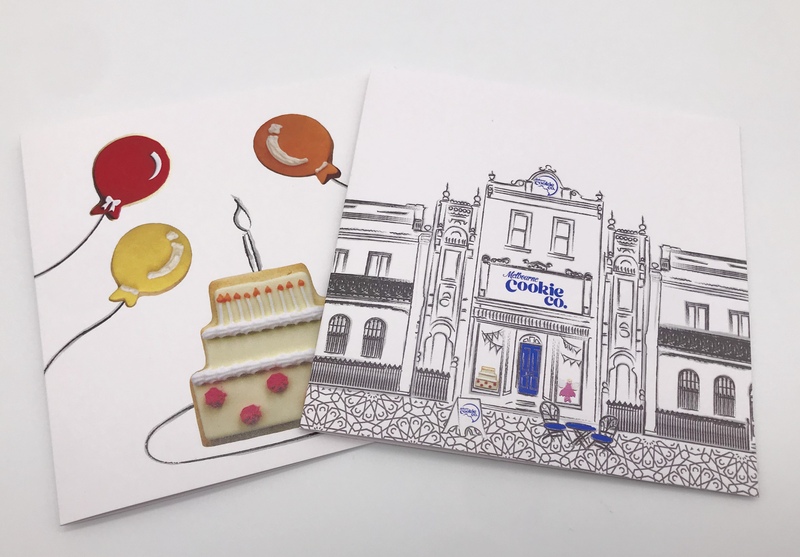 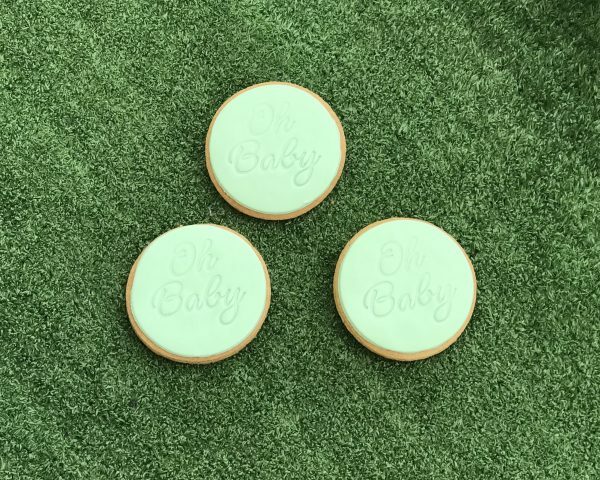 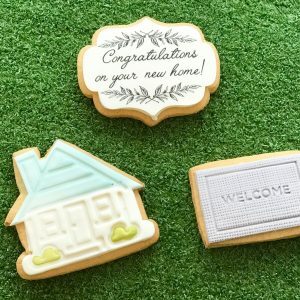 Our Oh baby cookies are the perfect addition to your baby celebration! 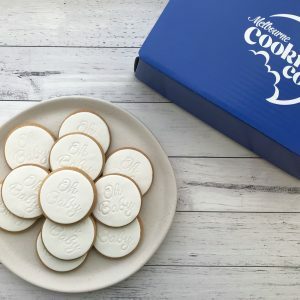 12 individually wrapped cookies with ingredient labels on the back. 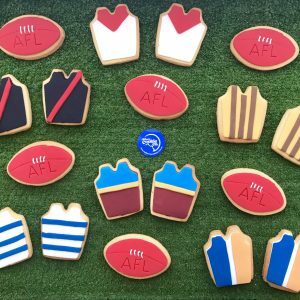 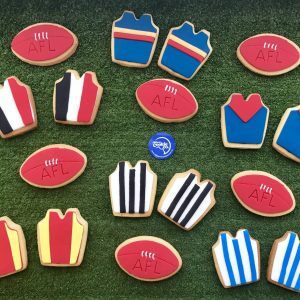 Add your colour choice in the comments when you order. 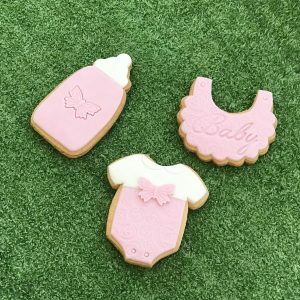 Available in white, pastel pink, mint green, buttercup yellow or pale blue.